Labour Party leader Jeremy Corbyn described the Conservative government’s Trade Union Bill as a threat to British civil liberties in his address to the Trade Union Congress (TUC) annual conference on Tuesday. Corbyn said if the bill is passed in Parliament, he will repeal it when he wins the 2020 general election. He went on to say he would make the Labour Party more democratic, incorporating members’ views into policymaking. Addressing the controversial Trade Union Bill, Corbyn said: “We will fight this bill all the way, and if it becomes law we will repeal it in 2020." 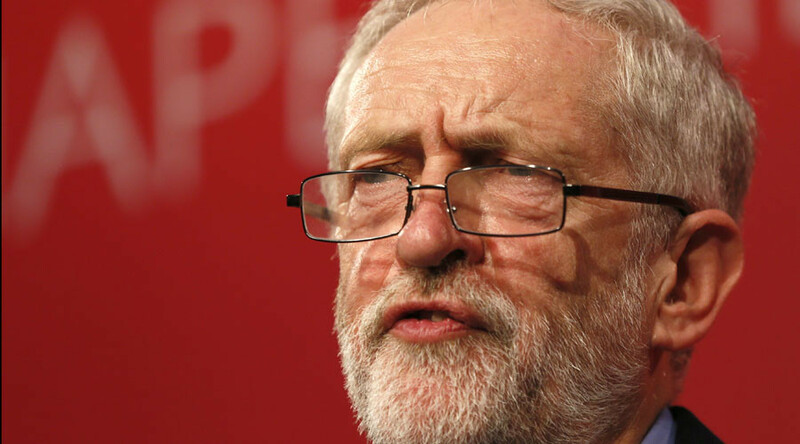 Corbyn also addressed the issue of striking workers’ social media accounts being monitored. “What kind of intrusive society are they trying to bring about?” he said. The Trade Union Bill seeks to limit unions’ ability to organize legal strikes by requiring higher ballot thresholds, introducing fines for unions whose members do not wear identifying armbands when picketing, and allowing employers to use strike-breaking temporary workers. It passed its second reading in the House of Commons by 33 votes on Monday night. In his TUC annual conference speech, Corbyn is expected to set out his party’s opposition to the controversial Trade Union Bill. Angela Eagle, newly appointed shadow business secretary, said she was “dismayed that we have a government which believes in attacking trade unions rather than working with them. “If David Cameron was really battling for blue collar Britain, he'd be fighting for stronger rights; to stop bosses getting away with pitting worker against worker to undercut pay,” she added. Corbyn’s address will come as supporters continue to express disappointment over his choice of shadow cabinet, with Unite chief Len McCluskey telling the BBC on Tuesday morning he is concerned at the lack of women in top jobs. The Labour leader has been criticized for giving the so-called four main jobs to himself, John McDonnell (Shadow Chancellor), Hilary Benn (Shadow Foreign Secretary) and Andy Burnham (Shadow Home Secretary). “Give the man at least a week,” he added. The Unite leader said he is also increasingly concerned Cameron is trying to water down workers’ rights in his negotiations with the EU. McCluskey refused to comment on whether Unite would ever campaign to leave the EU. “We will be looking very closely at the timing of the referendum and at what the prime minister is trying to do. If needs be we will consider calling a one-day policy conference to specifically discuss the European issue,” he said. Corbyn has also come under pressure to clarify his stance on EU membership, with a referendum on Britain’s membership planned by 2017. During Corbyn’s first address to the Parliamentary Labour Party (PLP) on Monday, an MP asked the new leader about EU membership. The Labour leader said he had concerns over the UK’s commitment to the working time directive and did not want to give Cameron a “blank check” during his renegotiation.